Silent Yachts has its largest solar-powered catamaran so far under construction at a shipyard in Italy near Ancona: the new SILENT 79. 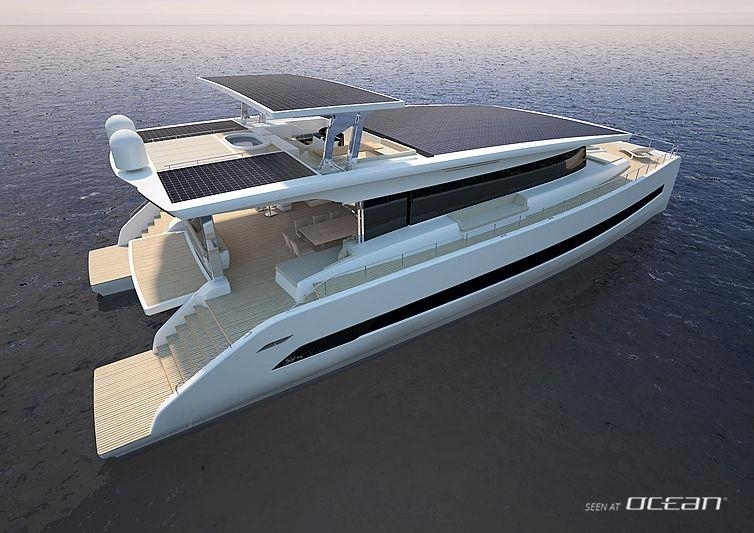 Measuring 23.95m the solar-powered catamaran Silent 79 has been developed in-house featuring naval architecture by Enrique Castilla from Insenaval and design by Marco Casalo from Too design responsible for exteriors and interior styling. 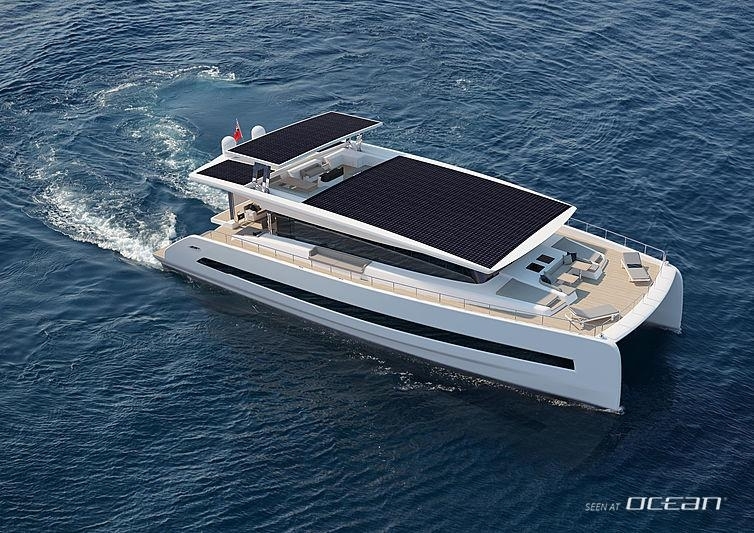 Solar power catamaran Silent 79 is characterized by a clean and modern appearance, its large solar-panel-covered coachoof and generous use of glazing throughout the yacht. Two large exterior areas on the forward deck and aft cockpit will offer lots of space for leisure, sunbathing, lounging, relaxing and alfresco dining. The maindeck boasts a large galley with saloon whilst the two hulls can be fitted with either 4 or 6-cabin layouts. Since the Silent 79 has no classic engine room this luxury catamaran benefits from an XL-garage to house a 4.5m tender and plenty of water toys. The power is provided by twin electric engines available in either a 50kW or 250kW version. With the top "electrization" a speed of 20 knots can be achieved. The range is practically unlimited, the cruising mode is silent without annoying vibrations, whilst the whole energy and propulsion systems do not require almost any maintenance. A hybrid solution will also be available with twin 220hp engines pairing two 14kW engines. 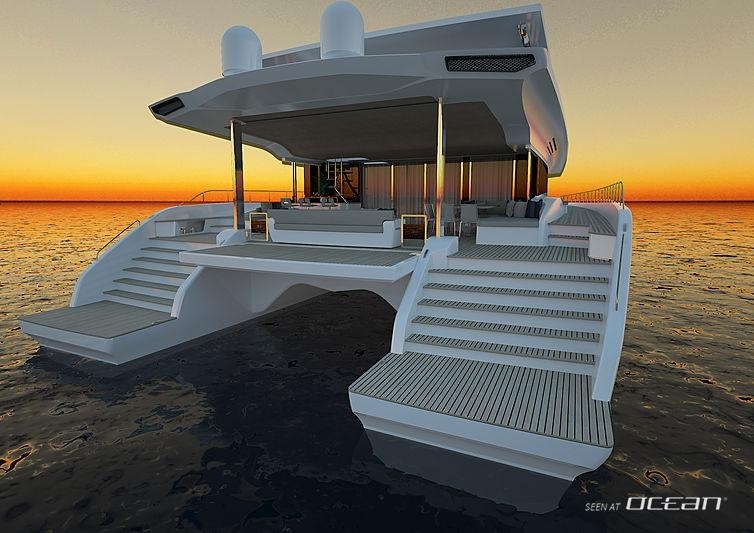 Time will proof if modern solar-powered catamarans are the future of yachting compared to traditional propulsion systems. 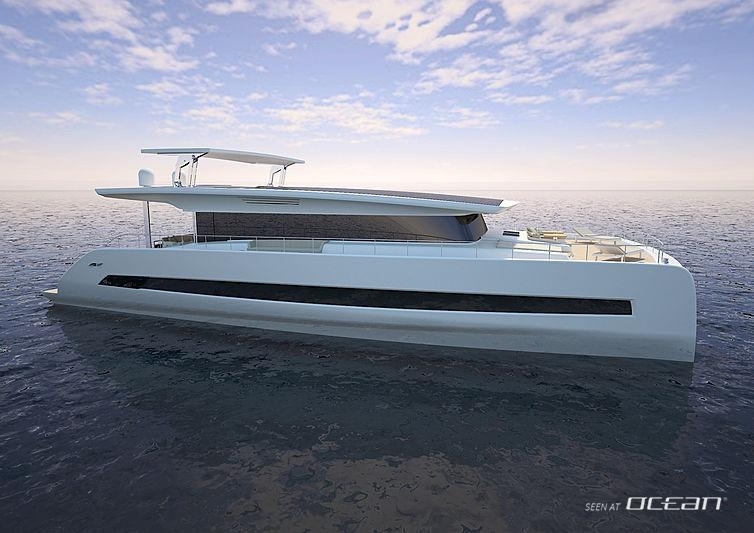 The first Silent 79 luxury power catamaran is set for delivery in 2020 and is set to be a gamechanger becoming more than an alternative niche yacht.